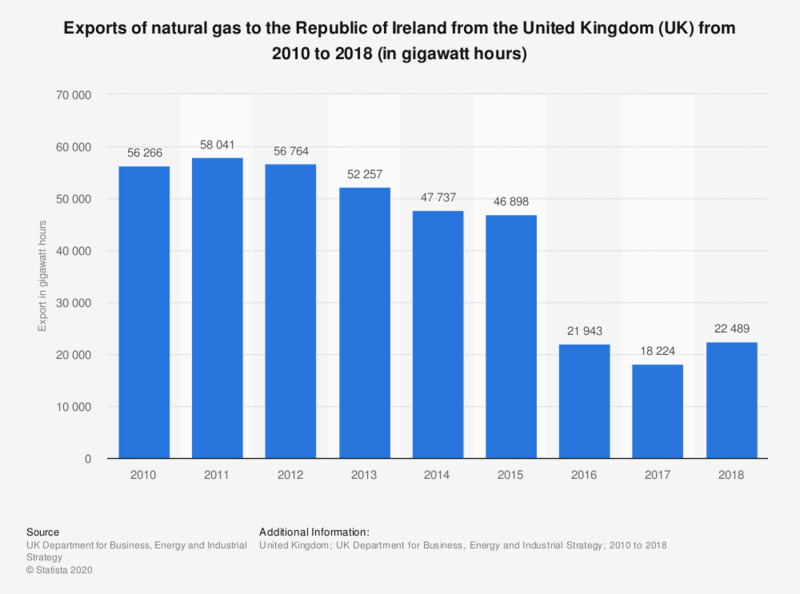 This statistic shows the exports of natural gas to the Republic of Ireland from the United Kingdom (UK) from 2010 to 2017, in gigawatt hours. The amount of natural gas exported decreased over this period, from 56,266 gigawatt hours in 2010 to 18,224 gigawatt hours in 2017, despite initially increasing in 2011. According to the source, the data includes gas to the Isle of Man for which separate figures are not available.